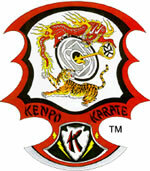 Welcome to the official American Kenpo Karate International forum. This is a PUBLIC forum setup up for the sharing of information and was placed here for the enjoyment of all regardless of affiliation. We ask that you help us to maintain this forums original purpose. Any slanderous comments made about any ORGANIZATION or INDIVIDUAL will be removed. If you do not leave your name and a valid email address your posting may also be removed. If you are interested in finding the closest AKKI instructor to you, please visit our Regional Representatives page and contact your area's Regional Rep for more information. Fall 2012 Paul Mills International Kenpo Camp Dates Announced!